A fabulous T bar encrusted with sparkling gems! As the name hints Tutti Frutti is finished with a sumptuous jewel like T bar, embellished with gold embroidery and richly coloured diamante stones. If you’re looking for a statement wedding shoe then Tutti Frutti is just the ticket, and of course it’s so wearable after the big day too, in fact you won’t want to take them off! 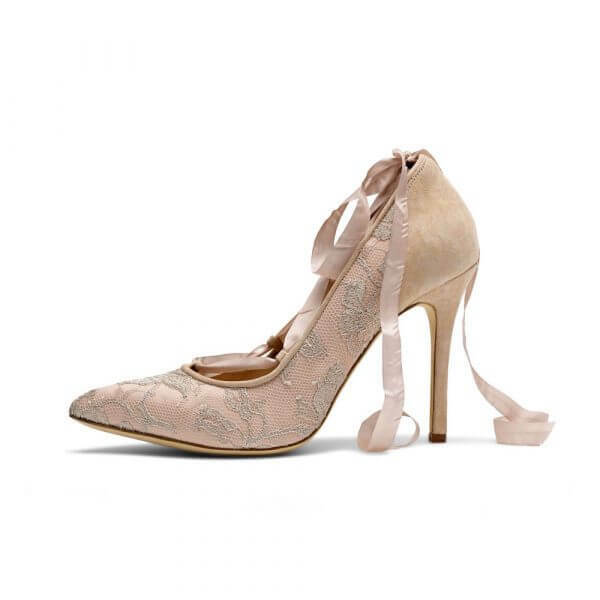 The rose gold piping, toe piece and binding perfectly accent the powdery dusty rose suede. 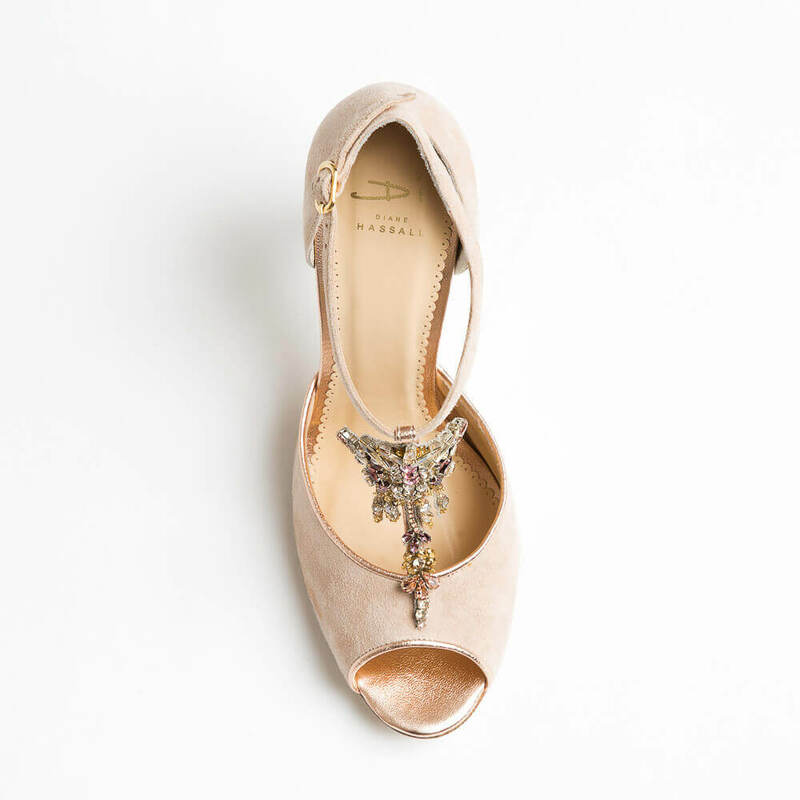 This design has a peep toe and closed back with gold buckle fastening. Pre-order products will be available from November 2018. 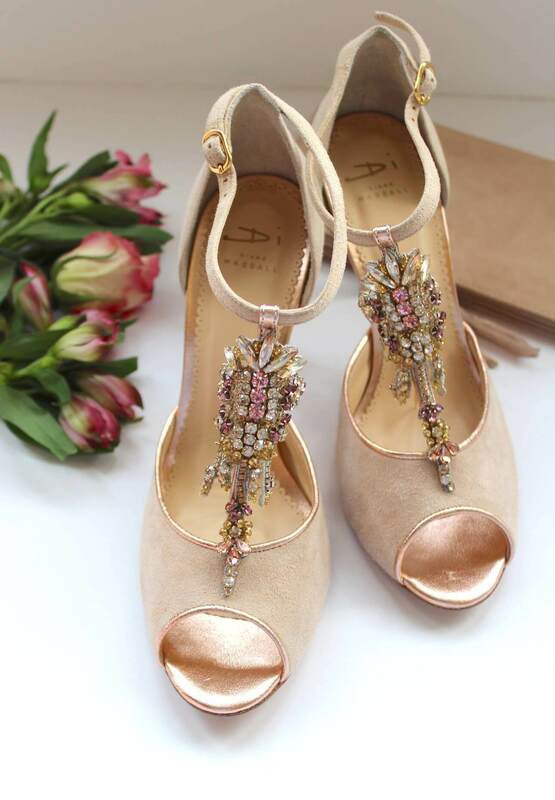 Heel height 9cm, toe shape – peep toe.